Devizes Town Hall is a Thomas Baldwin designed building constructed between 1806 and 1808. 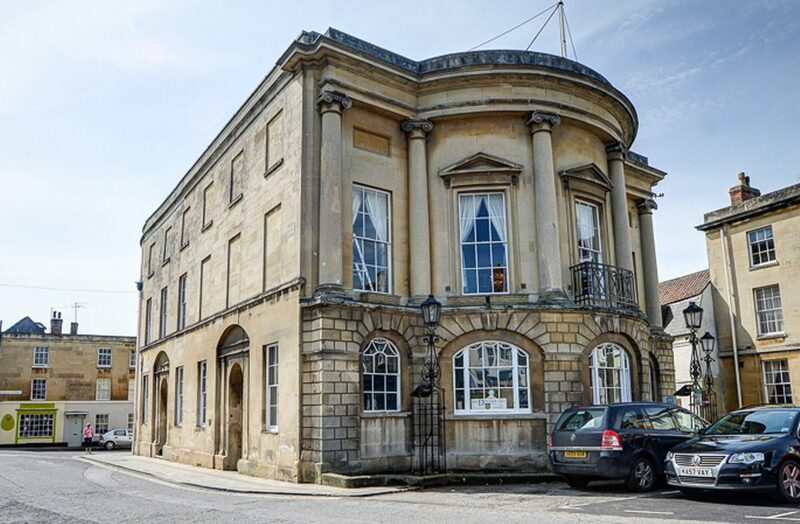 The historic and charming building caters for a host of functions, from weddings to conferences and business events and also houses the town’s council offices. 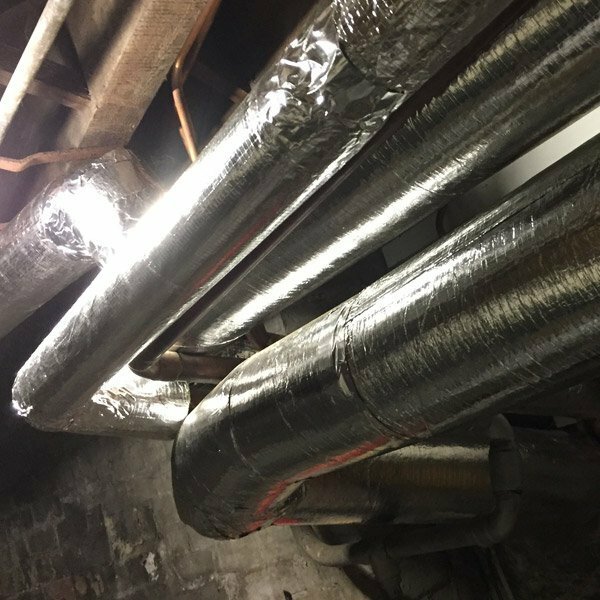 The existing heating system at Devizes Town Hall was old and many of the radiators throughout the building were not working due to a build up or air and sludge. SMARTech Heating recommended a full clean of the current heating system to ensure that the radiators were working in all zones. Dirty fluid in the system can also cause harm to the boiler itself, so it was deemed an ideal time to carry out these works prior to the installation of a new boiler. 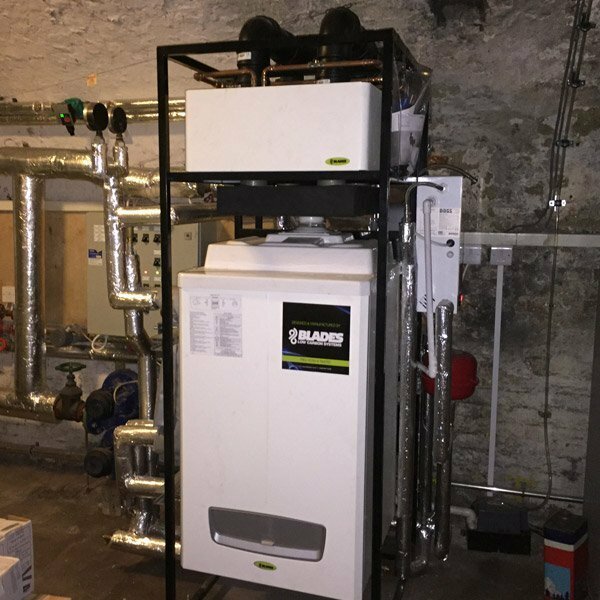 The existing boiler was an Ideal Concord Super 100v, which supplied heating only and was specified at 1 x 115.5kw input – with an output of 100kw. It was estimated that the efficiency of this boiler to be approximately 50%. Ensure adequate heating throughout the Town Hall. 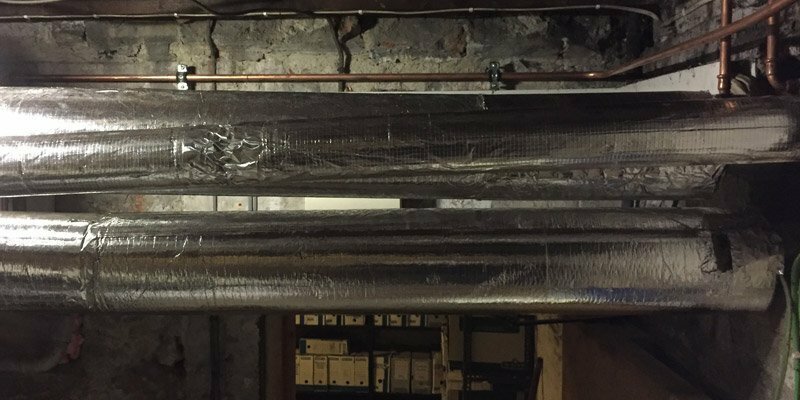 It was noted that the offices were extremely cold, so a heating solution was required for this area too. Full consideration of the size of the building, types of use and the windows were identified. 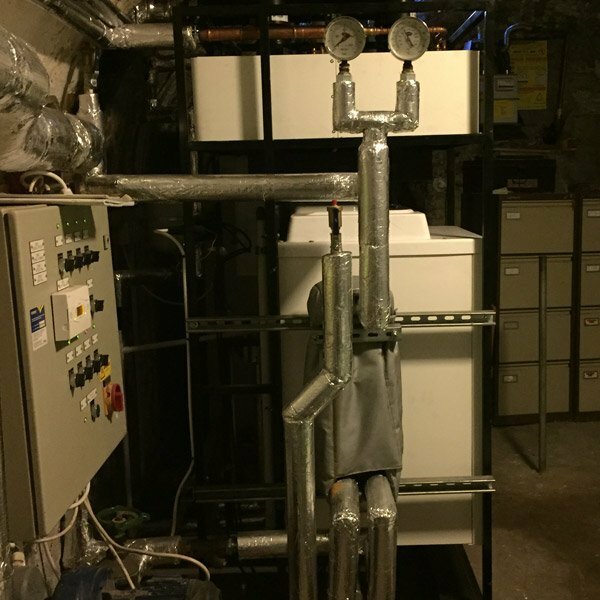 It was recommended to install a 115kW Blades Low Carbon Boiler System which has a system efficiency of 97% and will also cater for adding additional heating to the main office area. The additional heating is available as the Blades LC boiler system incorporates passive flue recovery which recovers the waste exhaust heat, and which is then used to heat a separate heating circuit; thereby offering free heat. Increasing the boiler operational efficiency from a standard 85% at traditional temperatures to an amazing 97%. Our case study on SMARTech Heating & Cooling’s work with Devizes Town Hall tells the story of how we helped reduce their energy consumption. If you would like to reduce energy waste, boost profits and cut carbon emissions then contact SMARTech Heating today.